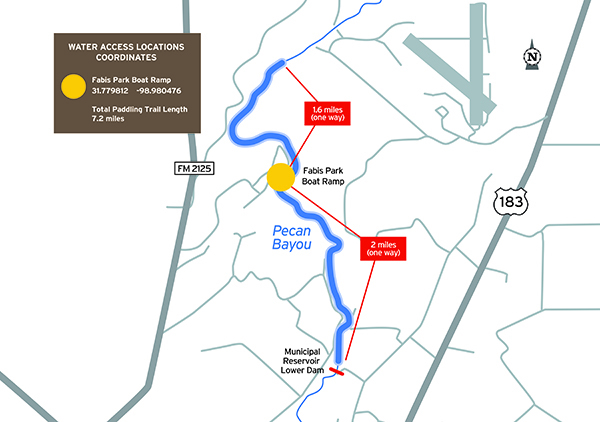 With the official opening in 2015, the Pecan Bayou Paddling Trail became the 63rd official Texas Paddling Trail. Paddlers can access the trail from Fabis Primitive Park or Riverside Park and take on a variety of routes up or down stream. The trail incorporates a peaceful stretch of wildlife rich settings along the pecan lined shores. The trail also offers great angling opportunities for both recreational and tournament competitions.